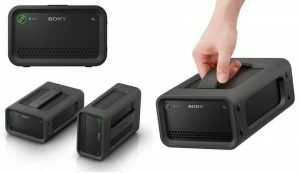 Sony has just launched their new HDD RAID drives, the PSZ-RA4T and PSZ-RA6T. Both the drives are said to deliver high-speed data transfer on spot and ideal for 4K video recording. The transfer speed of 440MB/s can be achieved with the new HDDs. Both the systems include USB 3.0 and dual Thunderbolt2 ports that are 25 times faster than FireWire 800. In addition, dual Thunderbolt ports support daisy-chain up to 6 units compatible with Windows and Mac PC. Flexibility is further enhanced with a choice of Hardware RAID 0, RAID 1 or JBOD modes. Sony’s Pro RAID HDD is fully compatible with the “Memory Media Utility” application which offers various management functions such as library function, indications of a lifetime, as well as formatting function. The new RAID HDDs are ideal for outdoor use, as these are highly rugged and durable. The new higher capacity PSZ-RA4T & PSZ-RA6T are ideal for 4K recording and so it can record up to 480 minutes of MPEG 422 30p (50Mbps) footage. Also, buyers will get a three-year warranty which let them relax and enjoy capturing every detail without worrying about the after sales support. Anyway, we talked much and now the pricing- The Sony PSZ-RA4T will cost Rs. 38,900 and the PSZ-RA6T will be available for Rs. 46,500. These newly launched products are available in all Sony Center and major electronic stores across India.